Whatever the future holds for Paul Pogba at Manchester United, the Frenchman continues to play a significant role for Jose Mourinho’s side. With a green captain’s armband on his left bicep and pink boots on his feet, Pogba settled United’s nerves on an uncomfortable night and unfamiliar artificial surface in Bern to get their Group H campaign off to a winning start. 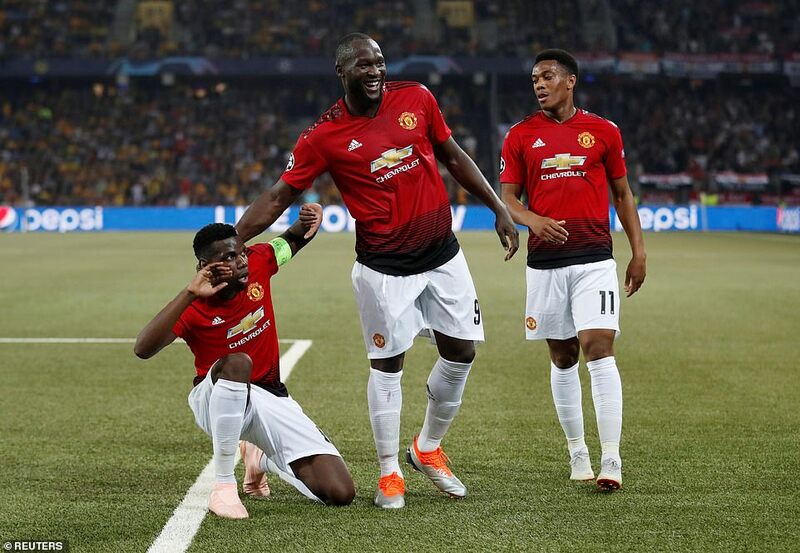 The 25-year-old midfield star scored twice in the space of nine minutes at the end of a difficult first half at the Stade de Suisse, and then set up a third for Anthony Martial to give United a victory that was a lot harder to come by than it might appear. 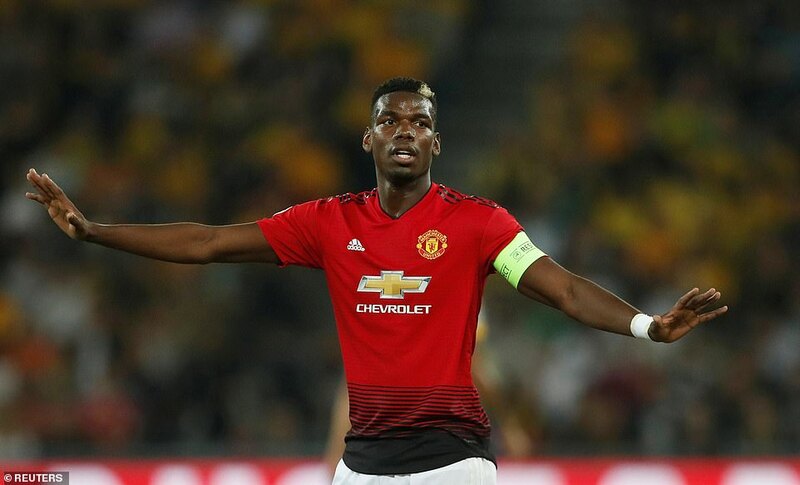 Pogba hasn’t always done enough to justify that £89million club record transfer fee and extravagant wages since returning to Old Trafford in 2016. But, with or without the armband, he has adopted a more commanding role this season despite the ongoing uncertainty over his future. Will he still be a United player if they reach the knockout stage? If Pogba has his way, he would probably move to Barcelona as early as January. But, of course, it isn’t as simple as that. The Old Trafford hierarchy remain determined to keep hold of him and performances like this explain why, even if Mourinho’s lukewarm praise after this match again hinted at problems between the pair. He was the difference between the prospect of a rather embarrassing defeat and what at first glance might look like a comfortable win against a Young Boys team playing at this stage for the first time. With Juventus and Valencia the other opponents in the group, it was imperative that United didn’t lose here. At the end of the game, Pogba re-emerged from the dugout to shake hands with each of his teammates in turn and then applauded the United fans in the far quadrant of the stadium. He gave Diogo Dalot his debut in place of captain Antonio Valencia – left at home to protect his knees from the plastic pitch – and was rewarded with an impressive display from the £19million summer signing. He chose to play Anthony Martial on the left instead of Alexis Sanchez, who was dropped to the bench, and saw the erratic young Frenchman score his first goal in eight months. Perhaps most of all, Mourinho saw United under the cosh for much of the first half as they struggled to adapt to the playing surface before they off the Swiss champions with the kind of clinical finishing that has often been missing from their game. United’s concerns over the pitch would not have been helped by the sight of Luke Shaw and Fred slipping inside the opening 10 seconds on the heavily watered surface. Young Boys certainly looked keen to capitalise on their opponents’ discomfort in a frenetic opening 20 minutes as they ran at the United defence at every opportunity with the pace of Kevin Mbabu and Roger Assale a particular worry. Guillaume Hoarau gave Mourinho’s side an early scare when he flashed a header narrowly wide, and David De Gea was forced to tip over two long-range efforts from Mohamed Ali Camara and Christian Fassnacht. Dalot then slipped as he tried to block Fassnacht’s run into the box and was grateful that the Young Boys No.16 saw his effort blocked before it reached De Gea’s goal. Pogba also had trouble staying on his feet, but it had very little to do with the pitch and wasn’t always to the liking of German referee Deniz Aytekin. However, the United skipper settled his team’s nerves and dealt the Swiss a devastating blow with two goals in quick succession against the run of play. The first arrived in the 35th minute and owed everything to the little shimmy Pogba sold to Camara on the edge of the box after the ball ran to him following a tackle on Fred. It gave Pogba the vital space he needed to crack a fantastic effort with his left foot beyond David Von Ballmoos and into the top corner. That was United’s first effort on target, and the second brought another goal nine minutes later when Shaw’s cross from the left hit Mbabu on the hand. It seemed a very harsh decision and one that infuriated a passionate home crowd. However, Pogba was already striding over to seize possession of the ball, as he had done on three previous occasions this season. Twice he had converted from the spot, but his last attempt at Burnley earlier this month was saved by Joe Hart. There was no mistake this time as he steered his penalty into the other top corner to put United in command and leave the Swiss stunned. They were out of the game completely when Pogba orchestrated a third goal in the 65th minute after United launched a counter attack at pace. His slick pass inside to Martial gave his French compatriot the chance to draw Von Ballmoos and score with a shot that was helped on its way by the unfortunate Camara.